LEVITTOWN, Pa. (CNS) — The recent announcements by Facebook and Apple that they would include among employee health benefits the option for young women to freeze their eggs for future use at a cost of up to $20,000 has been greeted with numerous objections by bioethicists and pro-life leaders. Unlike normal medical procedures intended to restore health to a person with an illness, this proposal offers “risky technology” to otherwise healthy young women, noted Jennifer Lahl, president of the California-based Center for Bioethics and Culture. “This is still an enterprise that has a very high failure rate,” she said, and no one yet knows the long-term health effects of the medications and other chemical agents that are used in the processes of retrieving and freezing eggs. It’s amazing to her, Lahl said, how little attention “these very smart people” at the tech companies are paying to “human biology 101,” which knows that advancing maternal age always carries risks, and she said she wonders what benefits will be offered to women and children who suffer adverse effects. “It’s very hard on women’s bodies to retrieve eggs to freeze,” and very unnatural, Jeanne F. Monahan, president of the March for Life Education and Defense Fund, told Catholic News Service. The Catholic Church views in vitro fertilization as immoral and contrary to natural law. Under the Facebook and Apple plans, the eggs are intended to be retrieved while the women are young and presumably at their greatest health and fertility, and used at a later time in their lives when motherhood would be less of an interruption in their careers, for a process of fertilization with a husband’s or donor’s sperm in a glass dish. The process is commonly known as in vitro fertilization, or IVF. 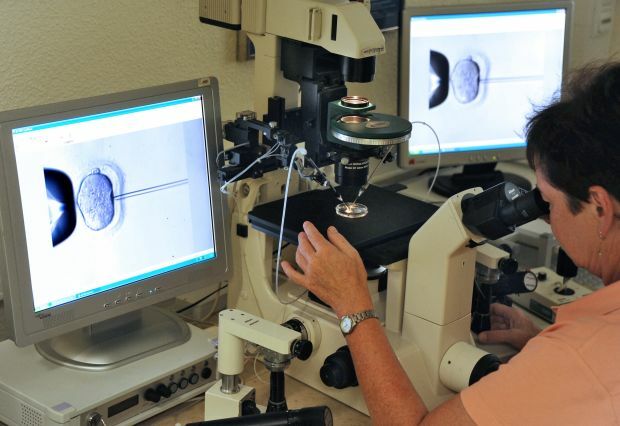 Some of the embryos that result from the process are implanted in the mother’s uterus while others are discarded. But couples who undergo IVF only succeed in having babies 25 percent of the time, and for reasons that are unclear, babies born using IVF have a significantly higher risk of birth defects than do babies conceived naturally. Also, in the process of freezing and unfreezing the eggs, as many as two-thirds are destroyed, according to Monahan. 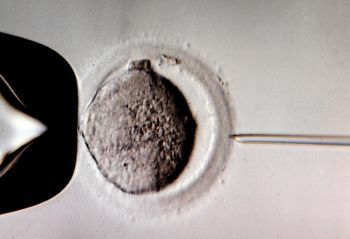 Often more embryos are created than can be implanted, and are frozen for possible future use should the process be unsuccessful, used for research, and/or discarded. Sometimes several embryos are implanted to increase the odds of a successful pregnancy and if a multiple pregnancy results some of the babies may be aborted to improve the chances of one or two surviving. He said that retrieving eggs for the purpose of future IVF puts the retrieval process itself in the category of an immoral action. He also stressed the risks involved to the young woman whose eggs are being retrieved, including ovarian hyperstimulation, which he said has resulted in a small number of deaths; the use of powerful drugs; and invasive procedures. Practitioners generally recommend going through the process more than once to obtain the maximum number of eggs. Rather than spending such large amounts of money on a risky procedure, Father Pacholczyk suggested companies could support young families by offering such options as paid leave for both parents, flexible work hours and the ability to work at home for those couples who want to combine parenthood and careers. Helen Alvare, a professor at George Mason University School of Law in the Washington suburb of Arlington, Virginia, and a former pro-life spokeswoman for the U.S. bishops’ conference, said she sees the tech companies’ announcement as “a gimmick, an image strategy on their part” at the expense of women and children. It posits, she said, that women’s freedom is tied first and foremost to money and not to love — like the kind of feminism that puts abortion and contraception at the top of its agenda. The companies, she said, are putting their own advantages first and women’s last. The idea that one can freely postpone childbearing until a later age goes against not only women’s natural fertility, Alvare said, but the natural rhythm of life, which allows one to care for one’s own children and to help later with grandchildren and elderly parents. He added, “This latest example of new benefits for female employees may benefit some women, but in the long run it has the net effect of asking especially young women to conform to an unjust male standard.